Ozarks Hydrographics is a family owned and operated business. 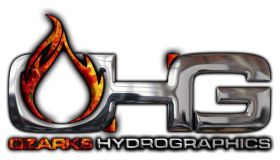 We strive to offer the hydrographics community the best products with the best customer service available! When you do business with us you become part of our MyOHG Family! In just a few years we have grown into The Leader in the hydrographics industry. Offering hydrographics equipment as well as training and dipping all done at our 10000 Sqft Facility! We build all of MyOHG Hydrographics Tanks right here in house! We also utilize all the equipment we sell so when you come for training you get to see the products we sell in action! We have trained over 2000 professional dippers in the industry, and are always adding new classes to better fit the needs of our customers. You can call and talk to a professional master decorator during normal business hours to help assist you through any problem. You can also find us on Facebook to help assist you. We have special formulated a hydrographics activator to work with any films on the market today. We are also the only Hydrographics supplier to add a vanilla scent to our activator so you can breathe easier! We also supply our own Brand of Epoxy Primers, Hydrographics Basecoats, Clearcoats and etc to make the process more efficient and cost effective. We are proud to be a ONE-STOP shop for all Hydrographics needs. We are constantly designing and developing new films for the hydrographics market. Ask us about our Industrial Series for a complete install and training done at your facility. We want to supply you with the best quality of products available! 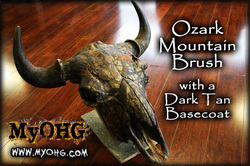 *Ozarks Hydrographics has a new location! As of Jan 1st, we are now located at 6922 State Hwy 160 S, Highlandville MO. We are proud to announce our Largest Facility yet to house Ozarks Hydrographics Retail Products. This facility is a little over 10,000 sqft and will also house our Training Center. OHG still proudly builds all of the OHG Line of Processing Tanks, Dipping Arms, Automated Tanks, and many other custom fabrication projects as per customers requests. Our Training Center is home of 2 Certified Master Trainers for the Hydrographics Industry. Our Trainers have over 10 years experience in the Hydrographics field so rest assured, you will leave our facility with tons of knowledge!